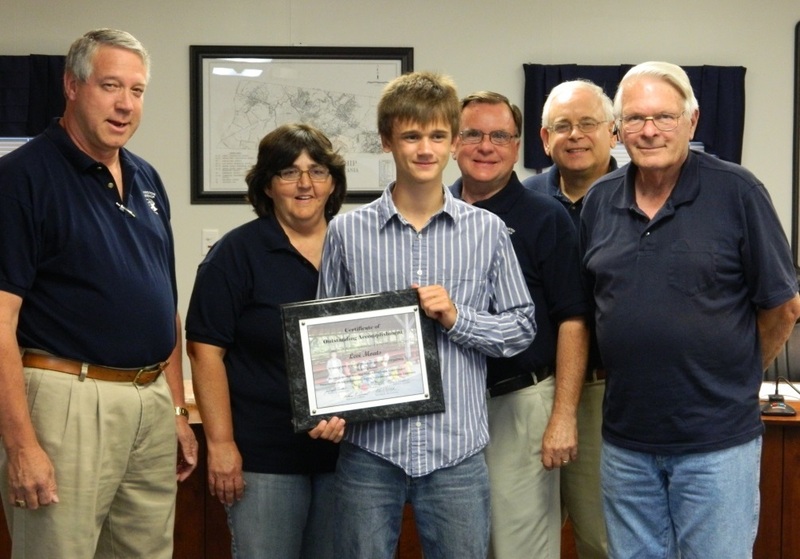 On September 4, 2013 Levi Moats was presented with a certificate of appreciation for his Eagle Scout project. for his Eagle Scout Project. 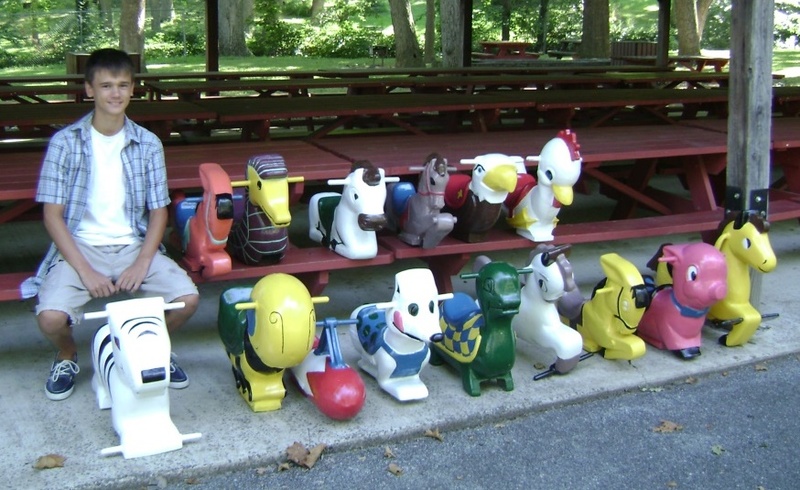 The spring riders look great and will be a welcome addition to our parks. 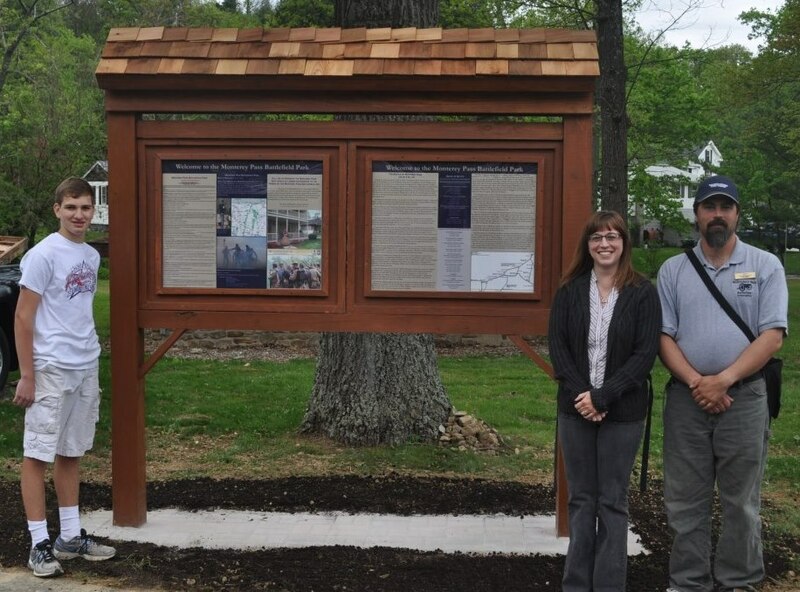 Thanks go out to Levi and members of his troop who participated in this project. 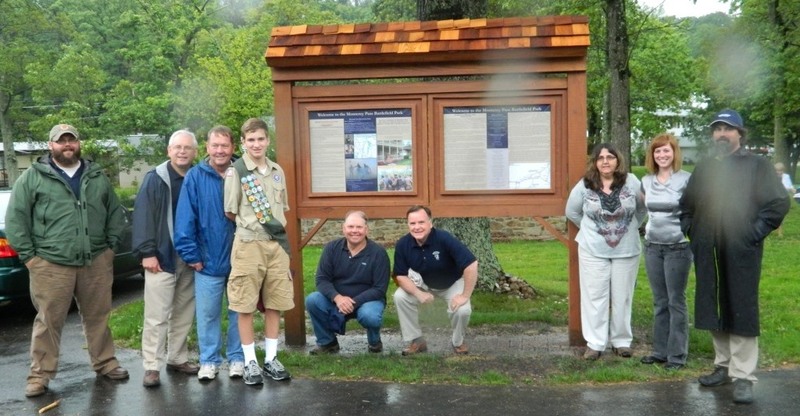 Will Manning shown with the Kiosk he built for the Battle of Monterey Pass Battlefield for his Eagle Scout Project.